Gamers will surely celebrate if they will own a mouse with 19 buttons ready to be customized for their gaming needs. Yes, you read that right, 19 buttons plus 16.8 million color options. 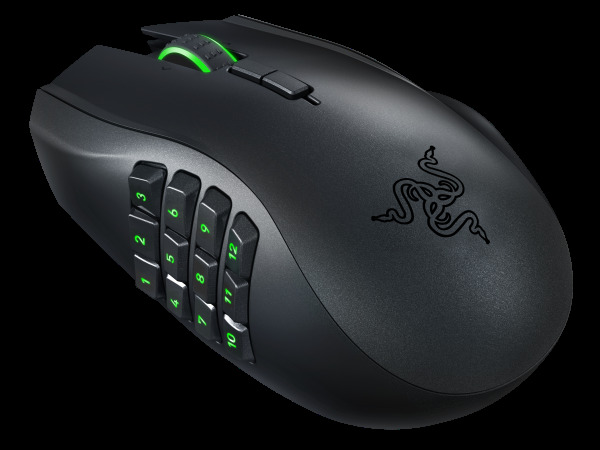 This is the latest mouse innovation from Razer, the Naga Epic Chroma Mouse which will be available starting November 2014. Naga Epic Chroma Mouse is ideal for wireless MMO gaming. It has MMO optimized buttons, wireless-grade technology and Chroma lighting features. It allows personal color customization through Razer Synapse. 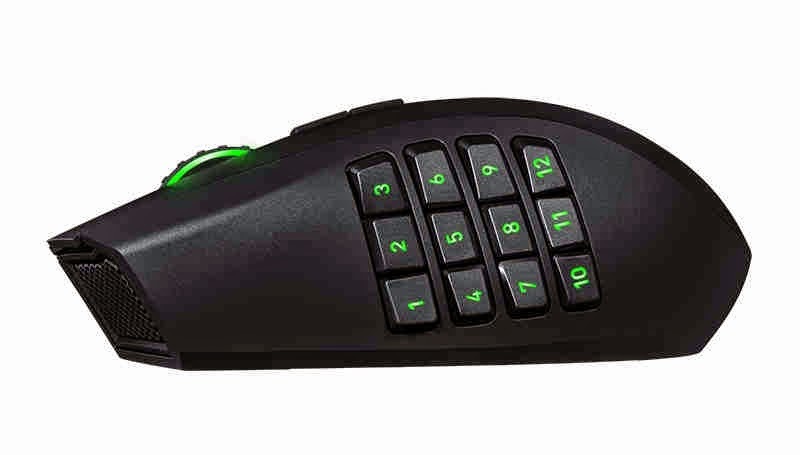 What makes this mouse pro-gamer is the fact that if offers a total of 19 buttons with 12 mechanical butons situated in the iconic Razer Naga's thumb grid. To add more gaming professionalism it is outfitted with an 8200 DPI 4G laser sensor that captures up to 200 inches per second and offers a maximum acceleration of 50 G, and also features both a wireless and wired mode with 1,000 Hz Ultrapolling and a 7-foot, lightweight, braided fiber cable. This newest addition to the collection of pro-gaming mouse from Razer supports Razer Synapse: Stats & Heatmaps, the newly updated beta software for Razer’s cloud-based driver that provides technical tracking data such as game time, button presses, distance moved, how much overall pressure was exerted while gaming, and more. Honestly, these are very important information which gamers needs in order to track their performance and also do a bit of time management so that they can also have social life and time for other activities. 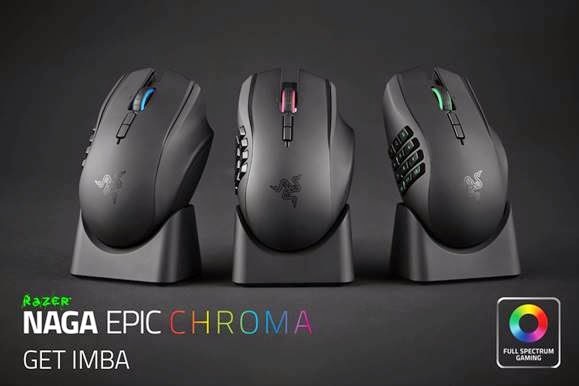 So what;s so great about the Naga Epic Chroma? So where can you buy it? Well, for gamers worlwide and in the Philippines, this latest mouse evolution from Razer will make its very first public appearance at BlizzCon in Anaheim, California on Nov. 7, 2014. Razer announced the Razer Chroma series during this year’s Gamescom in Cologne, Germany. The Naga Epic Chroma joins the BlackWidow Chroma, Kraken 7.1 Chroma and DeathAdder Chroma, all with the option of 16.8 million customizable colors and a range of effects enabled through Razer Synapse. Synapse allows the devices to sync lighting colors and patterns between Chroma devices with the click of a button. Razer Chroma will also offer an open SDK that enables game developers to integrate advanced lighting effects based on in-game events such as a base being under attack, flash bang effects and much more. Wow! That is simply amazing. I never had this urge to own a mouse ever. This is the first time where I see how it would affect my gaming specially if I could use it with Dragon Nest and then program the skills through the mouse button. That would be a very huge advantage. Approximate weight: 150 g / 0.33 lbs. How much would this epic mouse cost? The initial suggested retail price is at USA: $129.99 and EUR: 129.99€. Better save for that when it becomes available in store shelves worldwide. What do you think of the Naga Epic Chroma Mouse?